But it struck me again tonight. I suddenly realised a couple of years ago that Damien wasn’t a “little boy” anymore- because of the kind of humour he was laughing at… jokes, things on TV, music, advertisements. Stuff that wasn’t necessarily aimed at kids was suddenly very funny to him. He was suddenly old enough to get the joke. 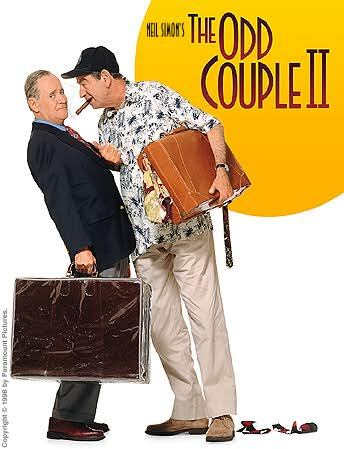 Tonight we watched “The Odd Couple II” simply because there was bugger all else on TV. Damien and I were both crying we were laughing so hard- I even needed my asthma inhaler it was that funny (ja, ja- I s’pose the bronchitis that two courses of antibiotics in as many weeks has failed to dislodge probably helped)! Damien has now decided that it’s probably the funniest movie he’s ever seen. He’s been repeating lines from the movie all night! And now we’re watching “Arthur II On The Rocks” so Damien is probably going to be repeating lines from Dudley Moore for the next week as well… nothing like a good giggle or twelve to round off a Saturday night. Dudley – Double scotch please. Barman – Would you like it on the rocks sir? Dudley – No! In a glass will be just fine.